There is a growing interest in the learning processes in organizational contexts fueled by a belief that innovation and education are essential for survival. Garvin (2000) postulates, that there is no one way of successful learning. Although leaders command an arsenal of skills, each method of education remains consistent, in that it requires the acquisition, interpretation, and application of new information (Garvin, 2000). We were assigned a task this week. We were to assume the top manager role of a major clothing store asked to help design a program to increase the level of organizational learning. As the top manager, my first strategy is to conduct an analysis to ascertain the current organizational behavior and develop a way to retrieve unfiltered information from the hearts and minds of the staff. The data gathered would consist of accurate intelligence and up-to-date information. The information collection process would center on identifying and comprehending behavior that is influenced by: (a) the technologies available, (b) the barriers and regulations that are implemented, and (c) the social demographics. This method would serve to acknowledge weaknesses and strengths that will assist in the design of an effective program to increase the level of organizational learning. Another strategy I would consider, is to include the formation of systems that incorporate employee self-analysis and assessment. This helps to encourage a learning culture that embraces openness from direct observation, feedback and evaluation as part of the process. Argyris (1992) states organizational learning is a proficiency that all organizations should cultivate. The better they are at learning the more likely they can identify and correct errors as well as recognize when they are unable to detect and correct their own miscalculations. He contends that organizational defenses are one of the most significant barriers to learning. These defenses include policies, practices, or actions that prevent participants (at any level) from experiencing growth. In this context, organizational defenses are anti-learning and overprotective. For this reason, the data collection process for the clothing store must be constructed to identify existing barriers and defenses that can obstruct the learning process. This is one way to help identify policies and actions that prevent growth (Argyris, 1992). 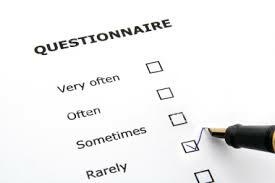 Research shows that questionnaires are the most popular method used to gather information, because they obtain subjective data about the participants, with measurable documented results that can be analyzed. In order to develop an effective information gathering plan, data may be collected by survey, interview or focus group. The data collection plan would: (a) focus on specific topics, (b) contain appropriate tested questions, (c) include participation from the stakeholders, and (d) address any anonymity issues. The observation design process must also include the ease of analysis, tabulation and summation. Once the unfiltered data is collected, it will be examined and disseminated to identify problems and trouble spots that distinguish which systems are successful and which models are not as effective (Phillips & Stawarski, 2008). Furthermore and equally important, as a means to connect emotionally and engage staff enthusiasm and support, I would recommend a briefing for the participants. I would provide an explanation for the significance of the program and articulate that it is part of a special campaign with end goals that will reflect positive results. Finally, I would endorse the use of incentives and include an introduction video or other form of electronic communication from the highest executive officer to personalize the plan and help manage any employee fears. For the clothing company scenario, the combination of these strategies will help provide the detailed intelligence required in the development and design of a more effective learning organization.